Leaf margins and faces glabrous, or margins sometimes hirtellous. 2n = 18. 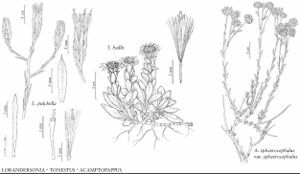 Facts about "Acamptopappus sphaerocephalus var. sphaerocephalus"